Macedonia had a referendum on Sunday 30 September 2018 on whether to accept the agreement with Greece about the country’s name that was intended to end a long dispute between the two countries about who was entitled to use the name of Macedonia. 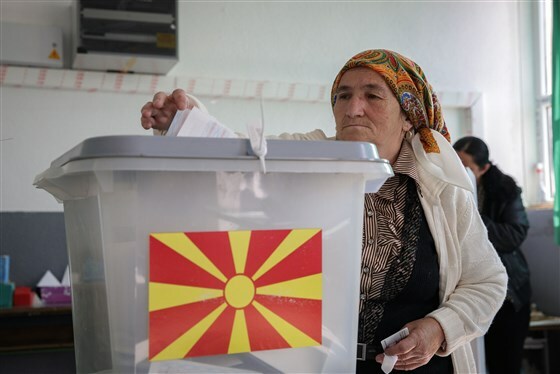 The ballot paper was not specific about the change of the country’s name to North Macedonia, asking people instead to vote for the agreement and the future of closer association with the EU and NATO. The government felt that this was more likely to encourage people to support the change. The change was publicly supported by the leaders of the EU and NATO. Of the people who voted, 91 per cent (610,000 people) voted in favour of the change and 9 per cent voted against. A woman casts her vote in the referendum. However, the Macedonian constitution specifies that turnout in a referendum has to be above 50 per cent in order to make the vote binding. The proportion of people who did come out to vote fell well short of this level, at 37 per cent. Although it sounds like a good idea to have a minimum turnout, in practice it means that the best way to defeat a proposal in a referendum is not to vote at all! If another 250,000 people had turned out to vote, and every one of them had voted ‘No’ to the agreement, the effect would have been to get the turnout over 50 per cent. ‘Yes’ would still have won, but with a smaller majority, and the name change would have gone into effect. The opposition in Macedonia urged their supporters not to vote and this tactic was successful. 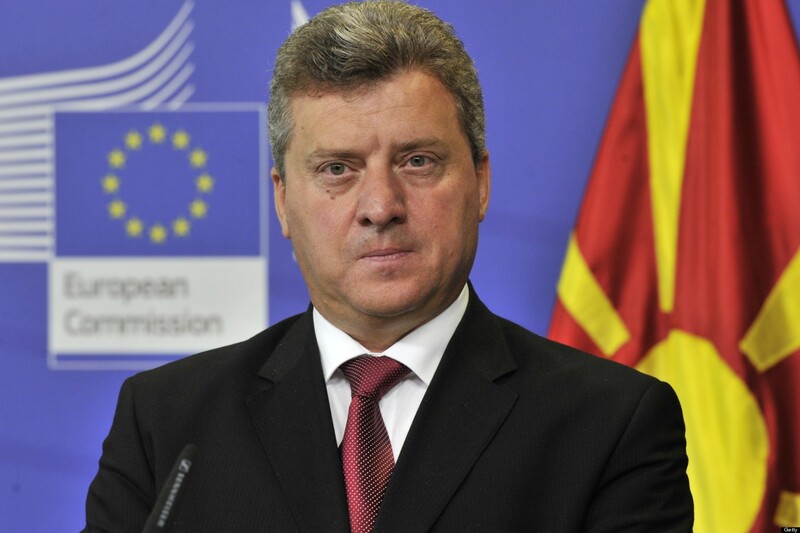 The President of Macedonia, Gjorge Ivanov, has urged the government of Prime Minister Zoran Zaev not to proceed with the name change agreement. He said that the ‘silent majority’ of people had not voted and they therefore did not want the agreement. Zaev argues that there was a big majority in the referendum and that more people supported the change than any proposition put to the people since independence in 1992. He has announced his intention to go ahead and put the name change agreement to a vote in Parliament – it can pass if the government can get two-thirds of Parliament to vote in favour, which will require getting support from some opposition members. In this case, the changes can be made by law. If the agreement is not supported by a sufficient margin in Parliament, or the government decides after all not to press ahead, then it will fall. This could well cause the collapse of the government and an early election in Macedonia. If the name change is approved in Macedonia, Greece then needs to ratify the agreement. While the Prime Minister Alexis Tsipiras is in favour, his government is a coalition and the other party does not support the agreement, so it could face difficulties in the Greek parliament. What are the longer-term consequences? The worst outcome for Tsipiras would have been for domestic opposition within Greece to be responsible for stopping the Macedonia agreement. Now Greece can say that they tried and it isn’t their fault that the agreement broke down. They will receive more sympathy for their point of view on the Macedonian question, and the revival of Greece from being an economic disaster area to being a serious player in the politics of south east Europe will continue regardless. Greece can live without a settlement with Macedonia, but the result is likely to harm Macedonia’s interests and standing in Europe. 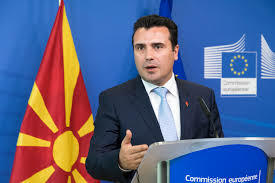 Zaev wanted to remove blockages from Macedonia’s ambitions to join the EU and NATO, and gain economic advantages from being closer to the EU and Greece, but these prospects are now more distant. The opposition in Macedonia looks more to Russia and Serbia as allies. 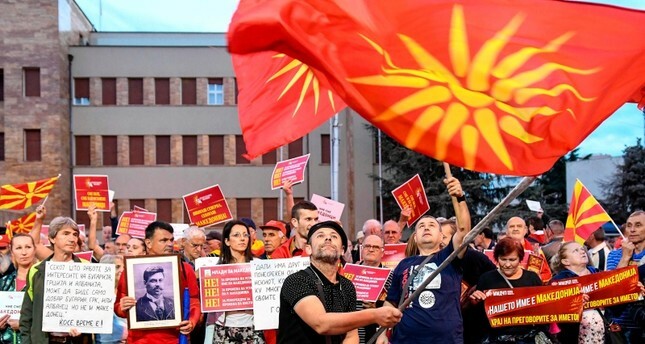 It is all the more frustrating for Zaev because the name change has not been defeated by the vote of the people, but by a flaw in the constitution of Macedonia. Chatham House Expert Comment (online) ‘FYR Macedonia’s Name Change Referendum Is Another Public Setback for the EU’ by Andros Chryssagelos https://www.chathamhouse.org/expert/comment/fyr-macedonia-s-name-referendum-another-public-setback-eu?